What to do with all that candy besides eat it? Loralee Leavitt will guide you through candy experiments! As if Halloween madness isn't enough, thousands of writers participate in National Novel Writing Month. I'm a slow writer. I revise as I go. The thought of writing 50,000 words in a month is paralyzing to me. What if I go in a wrong direction? What if I have to scrap everything? No matter that I scrap plenty even with revisions along the way. One day I will have to try it using the tips I've gotten from Laini Taylor and Maggie Stiefvater. But until then, hats off to those who accomplish this feat. My friend, Molly Blaisdell, has an alternative to Nano. It's the Golden Coffee Cup Award. You set your own goals and try to meet them. Molly gives you inspiration to keep you going. Go check it out. I am shooting for revising the first third of my current novel and sending it out to my fabulous teacher Nancy Butts for a review. That's it. It's begun already ... the madness. Tomorrow, the kids will come home from school all sugared up and it won't end ... until we eat it all up. I don't even like candy but since the kids started trick-or-treating, I have discovered that I have favorites, like Almond Joy and Kit-Kat. I still prefer Cadbury chocolate bars though. When we lived in Belgium, I had a smooth and creamy Belgian chocolate every single day (and I lived there for two years). Ooooh, how I wish someone would give me that quality of chocolate. I didn't grow up with this holiday. Instead, we celebrated All Saints/Souls Day on Nov. 1st -- a day to remember all our beloved dead. But the kids are growing up here and enjoying this sweet tradition. They love dressing up and collecting candy. Oh, but it's madness. Truly. 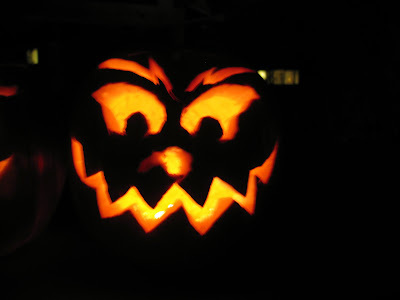 I do like carved pumpkins -- this is one my husband's. Mine are too pathetic to post. I always make a cat with a tail. Best of all, we have a Halloween cat! When the Whistle Blows by Fran Cannon Slayton. Eighth Grade Bites: Chronicles of Vladimir Tod by Heather Brewer. Jeremy Thatcher, Dragon Hatcher: A Magic Shop Book by Bruce Coville. My own pictures of the Oregon coast are not digitized because they're from way back before I ever had a digital camera and we're so pathetic we don't even have one of those cool scanners, copiers, printers and babysitters thingamajiggers all rolled into the one. So you'll have to go to the official OCCBWW site to see pictures that David Greenberg has. Did you click through some of the pages? Under Tips and Suggestions David has more pictures. And under Instructors: Session II, you'll see moi! Yup, I'm going to talk about magazine writing and nonfiction, both which I love to write, and that has paid for the endless reams of paper I go through for my novels and much more. I will be sharing what I know about getting started and published in these venues. I'm very, very excited to be at OCCBWW. It is a gorgeous place and David runs an excellent conference. Just read the testimonials. I suspect it's a lot like the Highlights conference in Chautauqua but on a smaller scale. Of course, you can't beat the location. The Oregon coast is simply the most unspoiled piece of nature ever. It's intimate. There's time for learning in a group and one-one-one and quiet time to ponder and write. Years ago, I had wanted to go to OCCBWW, but my kiddos were too young (and it seemed I was either pregnant or nursing or both) and by the time they were old enough, I somehow managed to get scholarships to two workshops on the East Coast. Of course, that's where I chose to go. So I'm thrilled to be coming to OCCBWW as a faculty member. Register soon. I hear that spots get filled up fast. This is why David is offering two sessions. I hope to see you there next summer. Happy writing. I'm such a doofus. 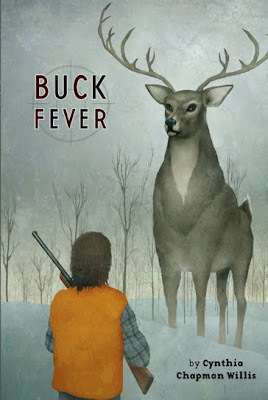 I've been seeing Cythnia's cover of Dog Gone on the Blueboard for some time, only it's been replaced by Buck Fever. And I was scratching my head over it. Duh! It's her new book. Isn't it gorgeous? Go check it out here or here or here! She's having a drawing for both her books. Fishing is the only thing that I can do that's close to hunting. My husband hasn't hunted since he was about twelve, when a failed shot didn't kill the rabbit, but just hurt it. Congratulations, Cynthia! We can't wait to read it. "One: You will be able to do many great things, but only if you allow yourself to be held in someone’s hand." My uncle, Rev. Dinanath Pathak, sent me this story. We do not know who the author of this piece is, but if you know, please let me know so that I can make a proper attribution. I stumbled across Daily Squee! 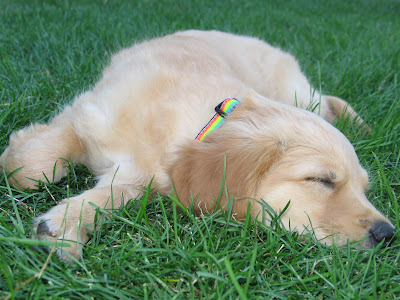 So if you like getting a daily dose of cute, check it out. Babies are just too cute. Of course, I have several critters at home that make me say Awww every single day. Here's one of the pup from last year -- just 2 months old. She'd run around and play and plop down for a quick nap wherever she was. I remember how my kittens did that too. Tooooo cute! Today is Infant and Pregnancy Loss Remembrance Day. I've known several women who've lost a baby in the womb or a newborn and I cannot even imagine the heartbreak, the devastation. Sadly, I've known more women who've had abortions, and I know they also grieve. Privately. Let us not forget to make our world welcoming to all babies, wanted and unwanted. Let us light a candle for all our little angels. I just finished Rebecca Stead's WHEN YOU REACH ME. Wow! Just Wow! I loved the narrator's voice and I wasn't quite sure what the mystery was in the beginning, but the time travel aspect snuck up me and then I was completely hooked. I don't want to say anything more about some of the things I've been thinking of because they might spoil the book for you, but my son will read it next and I can't wait to talk to him about it. I love that we can sit and talk about books. It is such a gift. We had both loved Nancy Etchemendy's THE POWER OF UN. And I suspect we will have similar discussions about the nature of time and what it means to be able to travel back and undo something. Today in church I wept because the priest gave a homily that I felt was directed straight to my heart. I've been asking a particularly vexing question that involves giving up my writing (not now, but in a couple of years) so that I can teach more to fund a Catholic education for our kids and the answer came loud and clear as a bell. I am meant to write. I cried because writing is so right. Because when God is with me, how can I fail? I can't believe that a second time in my life, when I am called to do something, that I let my misguided perceptions sway me. If I'd been closer to the Lord in my 20s, I'd have trusted Him and become a physician. I'd have borrowed the money to go to school. I wouldn't have been afraid. So I will not make the same mistake again. I pray that God will guide my hand as I write. You can see why time travel books appeal to me, no? But in the end, I'm here today because of all the good and bad decisions I've made. And I'm happy to be here. Isn't this cover gorgeous? 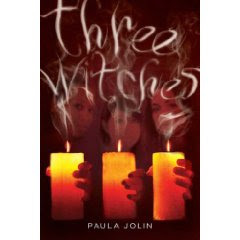 I thoroughly enjoyed reading Three Witches by Paula Jolin. She had told me about the premise a couple of years ago -- three girls conspire to bring a dead boy back to life -- and I've been waiting to read it ever since. The three girls are very different. Aliya is Syrian Muslim and the dead boy's girlfriend. Gillian is Trini and doing a business with him and Miya is Japanese, who said many harsh words to him the night he died. The book opens with Aliya and I must admit she was my favorite character because I could literally step into her shoes. But all three girls resonated with my teenage self who did dabble in the occult with extremely disappointing results. Oh, how I wished for power and control over my life. I think Paula captures that essence so well, because every teen has these feelings, even those not interested in witchcraft. As always though, it's the characters who drew me in. These were smart, sassy girls and even if I didn't agree with them, I wanted to know what they were up to. I wish the boy were as compelling as the girls. 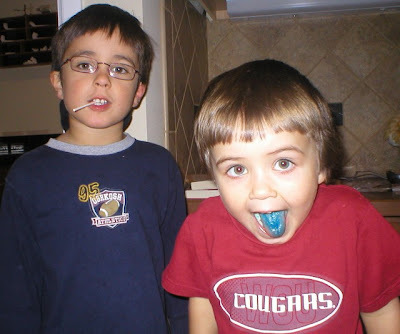 In fact, the more I got to know Trevor (the boy who died) the less worthy he seemed. But I chalk it up to teens lacking good judgment. The plotting is excellent and the three viewpoints of the girls make the book richer. The ending is deliciously ambiguous, but oh, the possibilities! I think teen girls will swoon with the idea of harnessing all this power -- to make a boy fall in love with you, or finally shut up someone who's been tormenting you. But as an adult, I wondered about the consequences of such power. On the opposite spectrum of power, I read Rosie and Skate by Beth Ann Bauman, which is about two sisters and how they cope with their alcholic father who ends up in jail. What struck me is how realistic this book was. These girls have no power to stop their father from drinking, save their love, but even that's not enough. And deprived of a father's love, they go looking for love in the arms of boys. The writing is flowing nicely with a single viewpoint. At times, I'm shocked at how real these story-people are to me. I'm interested in all the details of their lives. For the first time, I'm writing way more than I usually do in a first draft. Typically, I'm a bare bones type of first drafter because I'm telling myself the story and being impatient, I rush through things. But now I spend time on inconsequential details. I will be doing some serious hacking in my second draft. But for now, I'm enjoying watching the movie play in my head and transcribing it.